1. Little Labors, by Rivka Galchen. A friend recently sent along this brilliant little collection, and it was the perfect thing to read through the haze of living with a newborn. Galchen’s musings on her newfound motherhood are whimsical (she refers to her daughter only as the puma), original, and brave, swinging from melancholic to joyful and back again. More than once she perfectly articulated a deep but hidden thought of mine, like when for example, she reflects on home movies here: iPhone footage of the puma has the unfortunate quality of making it seem as if the puma has passed away and the watcher, me, is condemned to replaying the same scene again and again and again. The more banal the scene, the more intense this effect. The best essays in this slim volume shine like gems, and it makes an especially lovely gift for literary-minded new parents. 2. When Breath Becomes Air, by Paul Kalanithi. An intense and soaring account of an ambitious and gifted young neurosurgeon’s terminal brain cancer diagnosis, and how he essentially learns how to die with grace. Obviously the book is devastating — I outright sobbed through the latter half — but Kalanithi writes beautifully, and it was a sad pleasure to spend a little time with him and his family on their journey. 3 . Norse Mythology, by Neil Gaiman. Disclosure: I’m a big fan of Neil Gaiman, and I’ve read most of his books. The guy knows how to tell a dark tale. No doubt there are purists who would likely sniff at any Norse collection that lacked an Edda in its title, but I found Gaiman’s retelling of old tales to be fun and accessible. I wouldn’t rank this near the best of his original work — it’s no Sandman or American Gods — but I really enjoyed reading about Odin and Thor and Loki before bed for a few weeks. If anything it encouraged me to pick up an Edda again. Side note: I’m super jacked to watch the Gods duke it out in the new American Gods series . . . Ian McShane as Mr. Wednesday is brilliant. 4. 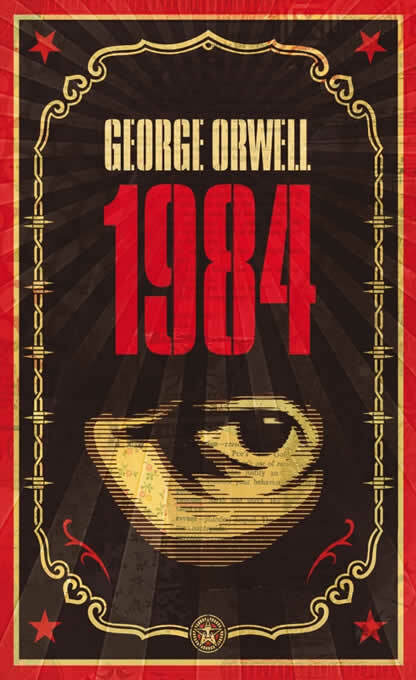 1984, by George Orwell. Yeah. There’s a good reason why this book is suddenly a best seller again. In a new age of double think and alternative facts, it’s a great time to read, or re-read this chilling cautionary tale. Orwell was a genius. More times than I can count his lines turned my stomach, but this book should be required reading for all. Pick up Animal Farm again while you’re at it, and remember how much you loathed Napoleon. 5. Treasure Island, by Robert Louis Stevenson. I’d never read this classic, but a friend of mine keeps extolling it, so. But I can tell you now, it’s a really enjoyable read and more than refreshing to spend a few days in a less-complicated world of pirates and sea adventures. When you’re done, do yourself a favor and read this fabulous essay about its author by the indelible, adoring Brian Doyle. 6. Underground Railroad, by Colson Whitehead. Look, this riveting, breathless, brutal, and unflinching tale of escape and pursuit won a National Book Award AND a Pulitzer, so you don’t have to take my word for it. Just read it. 7. 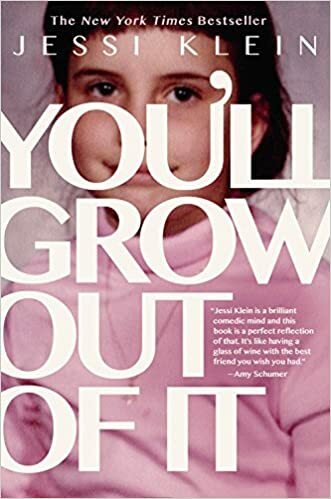 You’ll Grow Out of It, by Jessi Klein. Ms. Klein is a stand-up comedian who writes for Inside Amy Schumer and other sketch comedy shows. If you liked Tina Fey’s Bossypants, or Amy Poehler’s Yes Please, or any other witty, honest, self-deprecating comedy memoir/personal essay collections, you’ll definitely enjoy this one. It provided me with a little respite during this darkest of winters.